It was a glittering affair that saw the best of South African brandies showcased when the winners of the annual Veritas Awards were announced recently in Cape Town. Considered the “Oscars” of the wine and brandy industry, the competition once again cast the spotlight on the supreme craftsmanship of local brandy masters. Traditionally an awards ceremony for local wines going back two decades, Veritas has included the brandy categorysince 2010, as a natural extension of wine. The best products are awarded double gold, gold, silver and bronze medals. All the hard work that goes into the process of producing the variety of quality Potstill and blended brandy in the country, across a variety of ages and price points, is recognised and rewarded in this blind tasting competition. Potstill brandy wowed the judges, who awarded seven double gold medals this year to Van Ryn’s Collectors Reserve 20 Year Old, Fine Cask Reserve 15 Year Old and the Distillers Reserve 12 Year Old; Boplaas 15 Year Old Reserve; Flight of the Fish Eagle; Klipdrift Gold; and Oude Meester Reserve 12 Year Old. Winners of double gold medals have achieved an incredible feat, producing brandy of the highest standard. Gold:Klipdrift Export; Mellow-Wood 5 Year Old; Oude Meester VSOB and Richelieu International. Silver:Commando; Klipdrift Premium; KWV 3 Year Old; KWV 5 Year Old; Mellow-Wood and Viceroy 5 Year Old. Van Ryn’s Fine Cask Reserve 15 Year Old. Van Ryn’s Vintage 10 Year Old. Uitkyk 10 Year Old Grand Reserve Vintage Estate. Tokara 5 Year Old Potstill. 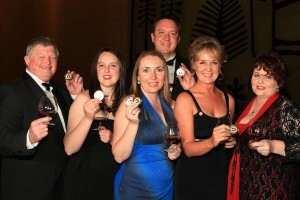 The Veritas Awards are organised by the South African National Wine Show Association. Several international experts joined the panel of some 100 judges to lend weight to the process, chaired by wine and brandy expert Dave Hughes.Of the 1800 entries this year, 34 were brandy. The judging panel included Denis Lahouratate, cellar master at the French House of Bisquit Cognacand a brandy specialist. Apart from a very few select connoisseurs, how many of the 100 plus judges at the Veritas awards are truly brandy drinkers or even have a workable knowledge of Brandy? I find it strangely unacceptable that a certain brand almost took all the prizes when their various vintages vary tremendously in character and quality! the KWV 15 year old only Silver? are we even on the same planet as these so called EXPERTS? would love to see other comments on my statement! Hi there, thanks for the comment. While I wholeheartedly agree with you that a number of brandies deserved higher accolades at this years Veritas awards, including KWV 15 year old, it must also be remembered that the potstills are judged in different categories based on age statement, it is not just one big category for all brandies. As I argue in my post on this years Veritas Awards (read it here) the bigger issue is in reporting results and awarding the stamps for the bottles. Surely awards should be announced with reference to category judged in, and the medal stickers for the bottles should also reflect this? The poor performance of the KWV brandies, will always be a subjective issue, and one I am surprised by, given that there was a highly experienced brandy panel judging brandies this year (the brandy judges are separate from the rest of the wine judges at Veritas). Thank you for your prompt reply and comments on my post. I am still perturbed by the fact that it would seem that one brand was heavily favored by the esteemed judges at the 2013 Veritas Awards. I do understand that opinion is a very personal and subjective issue, but how on earth can a product that had just won an international award as the “best brandy in the world” judged and rated by international acclaimed connoisseurs and fundi’s amongst very tough international competitors, be so easily dismissed as a second rate brandy amongst local competitors by our own esteemed panel of “experts”? This is ridiculous to say the least and does serious damage to our international image.